The streets of North America will soon be a platform for electricity-powered, a.k.a. green smart cars. 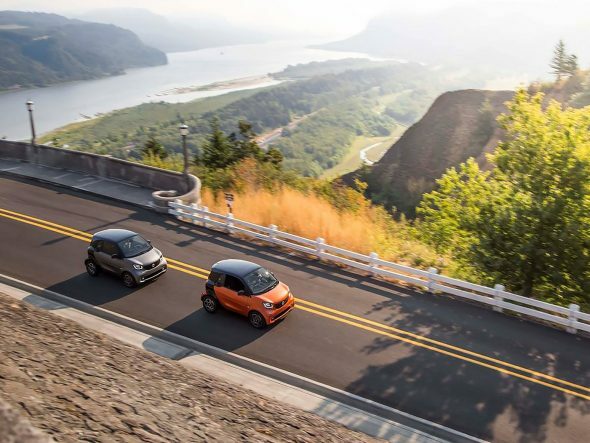 In a recent letter, (obtained by publication Frankfurter Allgemeine Zeitung and reviewed by Reuters), German auto giant Daimler claimed that shortly, their gas-powered smart vehicles being sold in the US and Canada will be replaced by electric versions of their micro cars. However, markets outside USA and Canada will continuing having access to gas-powered vehicles. Dietmar Exler, President and CEO at Mercedes-Benz USA, wrote the letter to North America’s car dealerships letting them know that the car organization will refrain from selling smart cars with combustion engines, in the fall when the 2017 vehicle model sees completion. Considering that global sales of Mercedes-Benz smart cars significantly outdid their 2016 smart car sales in the US alone, Exler’s letter seems like an acknowledgement of America’s struggling small car market. Fortwo, fortwo cabrio, as well as the forfour, all will be sold as electric vehicles – Powered by a 17.6 kilowatt-hour battery, boasting of top speed of 80 miles per hour and approximately 100 miles of range, the car company states. While the cars’ German price range would be between $ 25,000 – $ 28,000, prices could somewhat differ in America. After prices being finalized and electric vehicle incentives being taken into consideration, these little eco-friendly electric cars could ultimately become surprisingly affordable.